I have had a lot of fun in the Garden this year and in a way, it has been my therapy through a tough summer. Nothing like getting down and dirty and growing veggies for making you feel a bit better about yourself. Along the way I have learned some things and here is a list of 12 things I learnt from my garden this summer. Don’t be afraid to not grow every seedling you plant. We do as gardeners, have a tendency to plant too many seeds and re-pot too many seedlings. If you do this give them away to friends or family or be brutal and only plant the strongest. I learned the hard way I do not need ten tomato plants in my little garden. Next time less is needed I think. Anyone for home-made Tomato Sauce? Talking of tomatoes I have learned that they will ripen off the vine. Which is very handy as I have a bit of a caterpillar problem now. Hopefully, I can save the tomatoes before they get munched on. Sometimes you need to ripen things as the season comes to an end. With Tomatoes, you can put them with Banana’s to ripen them. I have learnt that certain plants don’t like to be moved once established. My strawberries didn’t like being moved, hopefully, we will have a better crop next year. Plants like Rhubarb and potatoes once they are in place you are not moving them. put plenty of organic matter into the soil. Try not to disturb the roots too much. I have learned that puppies will pull up your seedlings !! And rob tomatoes if you drop one as you are picking them. You can learn about puppy proofing your garden here. And yes we have a puppy now to add to the many generic avodart pets, yes I must be mad !! You only need two courgette plants for a family of four. I have learnt that two courgette plants are more than enough for my family. You can learn all bout growing courgettes in this Post. They are very prolific plants and so easy to grow if you have good sunshine. I have learnt I love chard especially stir-fried. And that cucamelons are really tasty.And that rainbow carrots look so cool! Why not try a growing a few unusual vegetables in your garden? Sometimes you need patience and things ripen in their own sweet time. I am so happy that my sweet pepper finally ripened this week. Also, I have learnt I can grow peppers from seeds of old ones and have planted 6 more to get started with. I found that the more my girls and my Niece had to do with growing vegetables the more they willingly ate. From Fresh Peas to even daring each other to try nasturtium leaves !! They tried everything in the garden. This year is was Brussels sprouts, another year tomato plants were bad. It is very much down to the Weather, pests, disease and luck. You learn from mistakes and move on. I hope you enjoyed learning the 12 things I learnt from my garden this summer. I may not have a big garden but I do love my little plot and learn from it constantly Did you learn anything this year from your garden? 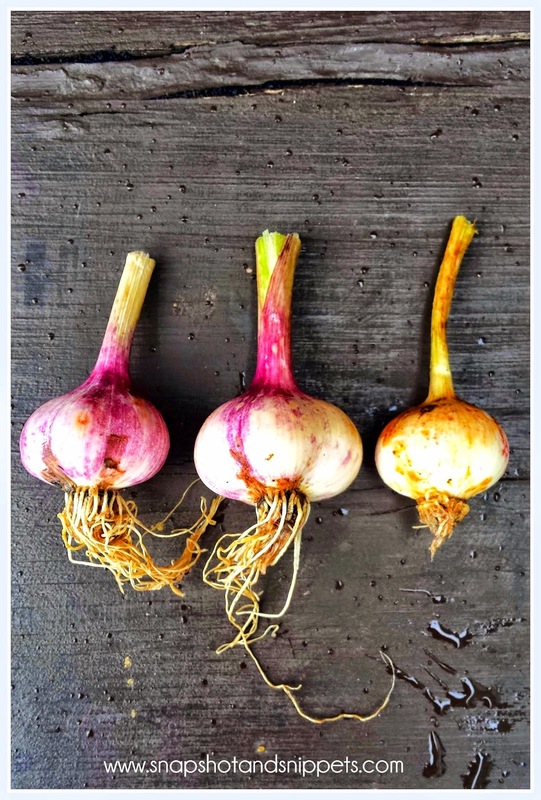 Or sign up for the Snapshot and Snippets Newsletter and get access to my Beginner’s guide to Gardening printables and weekly Quick Growing guides.